Fever Ray a.k.a. 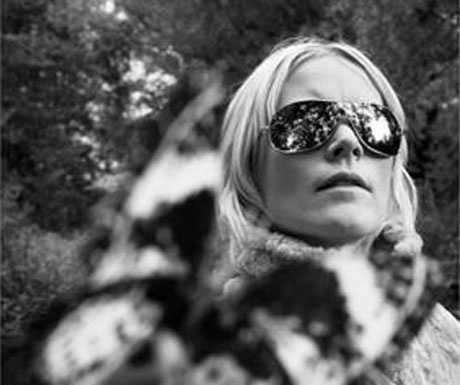 Karin Dreijer Andersson, one half of Swedish brother-sister duo, The Knife, is the latest addition to this year’s upcoming Loop Festival. Andersson will be performing material from her critically acclaimed, eponymous new album, along with full band, visuals and intricate costumes. The already sterling line-up for Loop Festival includes Quietus favourites The Juan Maclean, IDM pioneer Squarepusher, Icelandic electronic group, mum, and the always innovative Matthew Herbert Big Band, who will be kicking off proceedings on Friday 10th July at Brighton Dome. Running until Sunday 12th July, Loop Festival will also be showcasing various films and digital art installations. Or to read more about Fever Ray click here to read an interview with Andersson.